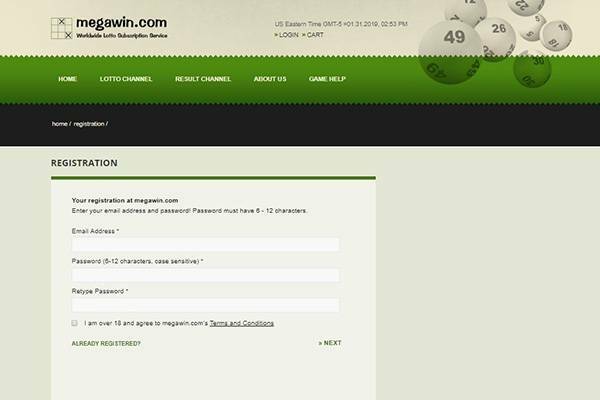 Since its creation in 1980, Megawin has only tried to improve their way of gaming and customer experience. They actually claim to be the oldest online lottery to start the out of state lotto ticket service. Megawin is owned and managed by international marketing inc. and have officially moved online since 2012. 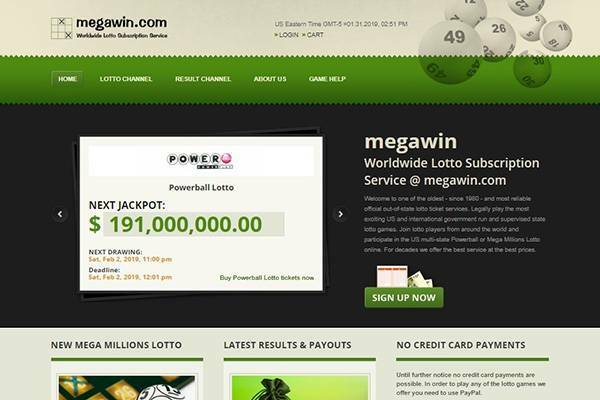 Since 2012 till now, Megawin has aided thousands of people to win lotteries in one way or the other. The information on the website seems outdated and the website itself looks like it could do with a little bit more of a professional touch. The information on the website is well passed through and the home page contains the basic information needed to keep a website going. They offer a wide variety of games and you can play any choice of your game as many times as possible. The objective of involving or taking part in any of the game is to stand a chance of winning any of the cash prizes listed on their website. Just like how it is expected of all lotteries, a certain age is not allowed to play or participate in any chance of winning and even claiming a prize. The official age for taking part in any of the games on Megawin is 18 years and above. 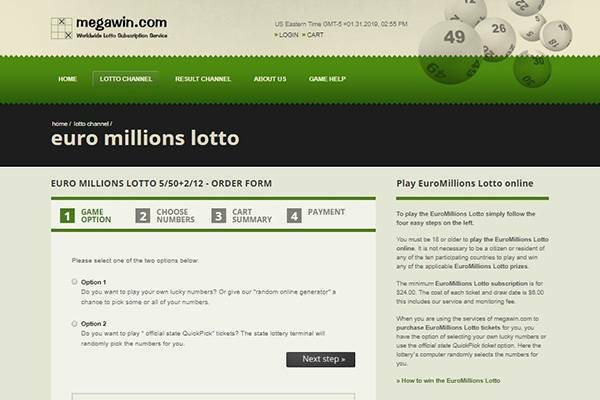 Megawin has a lot of lotteries on their website. Some of these games include; US Florida lotto, new fantasy 5, mega money, Texas Lotto, California super lotto US power ball, mega millions, New York Lotto, Euro jackpot and German lotto. All these games have their own methods of play and rules that should be followed to help you play and also increases your chances of winning. To participate in any of the games offered on the website, it is necessary that you register and get an account for yourself. To play, it is necessary that you invest at least a minimum of 20 dollars. 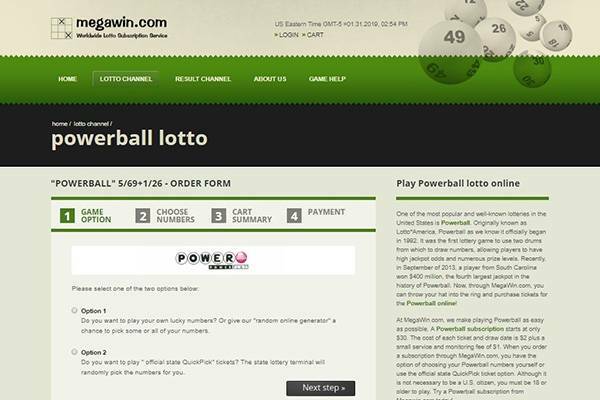 This rule is also different for each of the selected games as US power ball needs an investment of at least 30 dollars. The games on the website share similarities as the idea of the games are just to draw up a certain combination of numbers that would guarantee you a prize if you won. Some of the lotteries on the website take both federal and state taxes on each winning; Florida state lotteries, for instance, take both federal and state taxes. Texas, US power ball, mega millions and New York also take both federal and state taxes. California lottery takes taxes but only state tax while German and Eurojackpot lotteries are absolutely tax-free. They currently do not have a mobile application that can aid in playing these games instead they have provided their website which is mobile friendly but definitely can do with an upgrade. They are currently no promotions ongoing in the website. Their major form of making deposits is through credit cards and the currency accepted is the dollars. After making your registrations and owning an account, you can partake in any of the games. Per adventure you win, if it is 600 dollars or less, the prize can be transferred directly into your account. If the prize won is 600 dollars and above then a claim form would be sent for you to fill. Once you fill this you send it back to them and wait for 4 to 6 weeks before you can receive your payment. 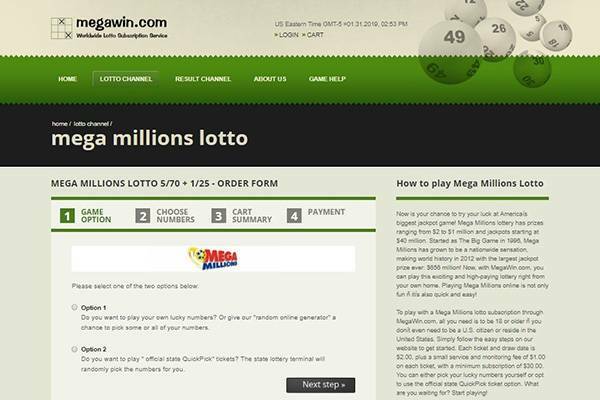 Is MegaWin Lottery legit or fraud? So far so good Mega win has not received any form of bad reviews from players in terms of being a scam but it is advisable that you watch out for actual scam artists. 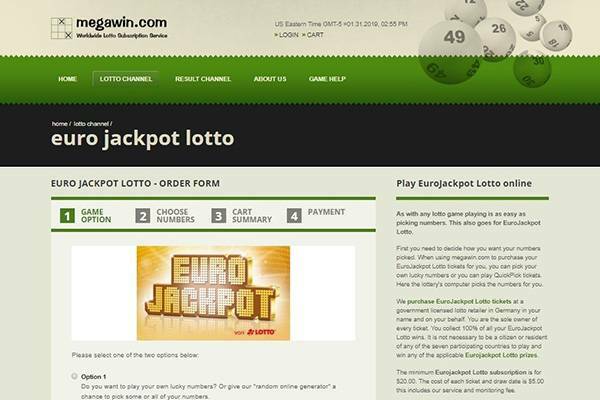 Mega win offers a variety of games that guarantees at least a little way of making money. If you are looking for a means of making money online then the Mega win lottery is not a bad suggestion at all.